The full moon over Big Island was amazingly bright last night. So bright that I needed to bring down the exposure to 1/500 of a second (at f5.6) to take a photo that wouldn't be overexposed and would show the moon's dark volcanic maria, bright crustal highlands, and some of its prominent craters. 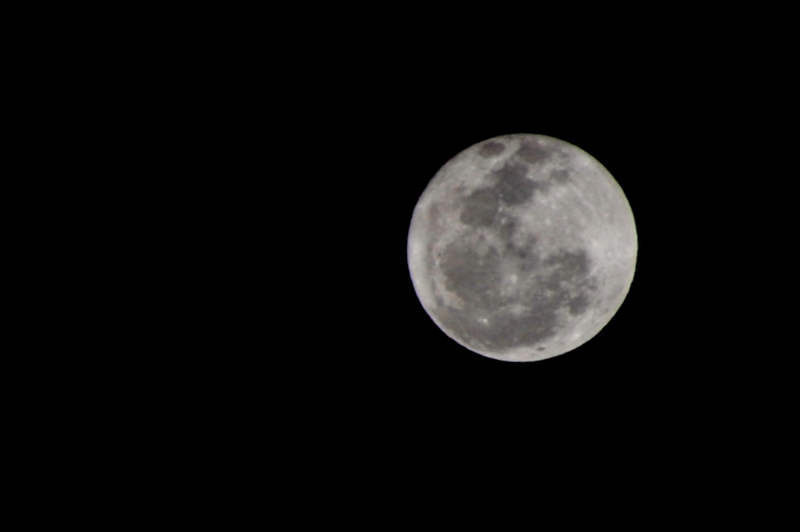 This was the first time I shot the moon as the main subject. I was surprised how easy it was and I feel encouraged to try more of this type of photography.